Sadly, HDTV is not available to people in the United Kingdom yet, but luckily they do have alternatives. They have the option of subscribing to cable providers who offer HD channels to watch, even though they don’t have HDTV’s. It’s not exactly picture perfect quality, but it is a step in the right direction. They can also watch high-definition DVD’s on gaming systems such as Xbox and Playstation 3 which also offers Blu-Ray compatibility. 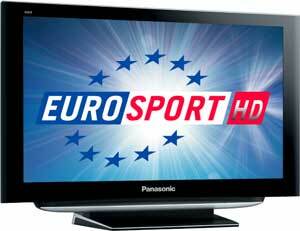 Or they can get free over the air HD channels with an HD Satellite receiver as long as they pointing it at Astra 28.2E. Unfortunately the only channel available through this method is BBC HD, which is meaningless because you watch the news for news, not for a HD experience. However none of this is free. You would either have to subscribe to the HD package, buy the satellite dish, or purchase the gaming system. But until the UK updates their technology these are the best ways to access higher quality movies and programs. Here are some other techniques you can use to enhance your television experience. If you typically watch your movies in the pitch black dark, definitely buy a backlight to put behind the television to reduce eye strain. It’ll also improve the apparent color and contrast of you television. This technique is called bias lighting and can be done professionally. But still, the finest way to watch movies in a soft light environment so invest in blinds to disperse sunshine in your room. Although the television industry says that the best viewing angle is at 176 degrees, they are wrong. The best experience according to consumers was at 60 degrees. Position your furnishings for the best angle accordingly. Depending on the definition of your HDTV, do not sit too close when watching TV or else you‘ll get a lot of pixilation and if you sit too far away, you‘ll lose perceived quality. So the smaller the TV the closer you sit, and the larger the TV the farther you sit. As a rough rule of thumb, if you have a 42 inch, 1080p HDTV you should probably sit 8 feet away for best quality. You may choose to buy an external video processor which contains complex video processing algorithms that can enrich mediocre standard definition programming as well as enhance HD material. The best thing to do is to get a calibration disc to fine tune your video or hire a ISF Calibration Professional (Imaging Science Foundation). They are trained calibrators who have the leading tools to get the very best out of your HDTV. Although this can be very costly it might be worth it if you have already spent a lot of money on an HDTV. The last thing you should consider is getting a surround sound system to really improve movie watching. With surround sound, its as if you’re actually sitting in a movie theater. That’s the difference between surround sound and no surround. Remember to adjust the setting of the system because the audio really depends on the position of you speakers around your sitting area.